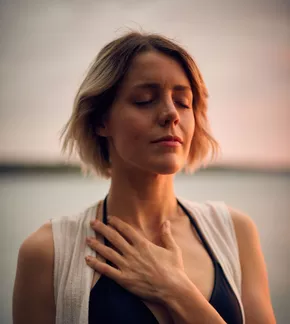 Four-square breathing, sometimes referred to as the box breathing technique, is a simple technique that you can do at any time that you feel stressed. 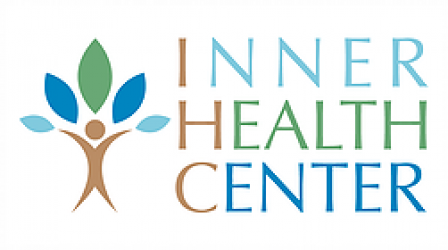 Controlled breathing is an integral part of meditation and can be utilized independently to calm nerves and relieve stress by helping to regulate the autonomic nervous system, report researchers at the National Center for Complimentary and Alternative Medicine. 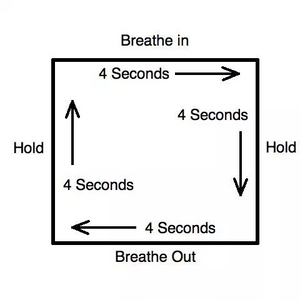 Square breathing emphasizes control through counts of four, which allows your body to make full use of the air. You also will work the chest and abdominal muscles slightly as you practice the box breathing technique. Sit straight up in a comfortable chair. Put your feet flat on the floor and relax your hands in your lap. You may overlap your hands or let them lie separately with palms facing up. The important factor is to maintain an aligned posture and to be at ease. Close your eyes or dim the lights in the room. Find a quiet space where the telephone or other people won’t interrupt you for at least four minutes. Close your mouth and breath in slowly through your nose. Count to four as you inhale. Hold your breath for four seconds. You are not trying to deprive your body of oxygen but need to allow a few seconds for the air to fill your lungs. Concentrate on your belly and notice how it also moves when you inhale deeply. Open your mouth slightly and slowly exhale to a count of four. Hold the exhale to another count of four. Ideally, you should repeat the exercise for four minutes, but two or three times will help you to achieve a more relaxed state, relieve tension and settle your nerves.